Hurunui River and Hurunui River South Branch confluence. Glynn Wye Range and Mt Longfellow (1900m) behind. 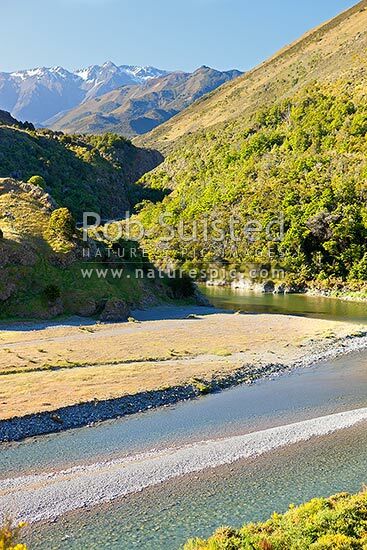 Lake Sumner Forest Park, Lake Sumner, Hurunui District, Canterbury Region, New Zealand (NZ), stock photo.